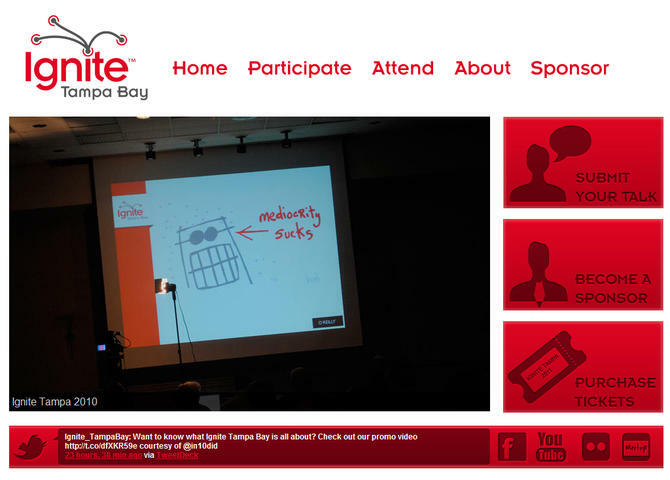 2012 Ignite Tampa Bay Event website used to promote the event and allow presenters to submit their talks. Developed in MODX Revo. Tags: Events, IgniteTampa 2012, Tampa Fl.